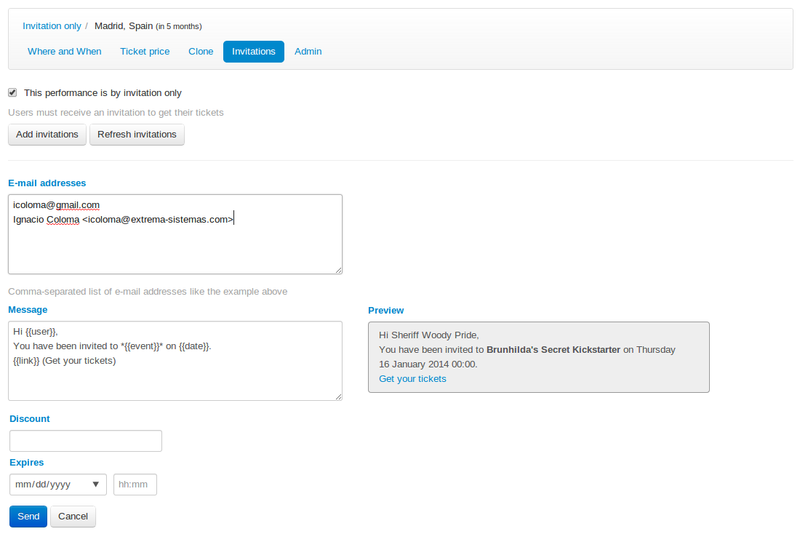 Now you can mark a performance as “by invitation only” and use Koliseo to send invitations by e-mail. Only users with a valid invitation will be able to get tickets, and you can see at any time the status of all invitations sent. This works also great for a pre-registration process: you can mark the event as invitation-only, send invitations to all your pre-registered users, and wait some time before opening the event to the public by deselecting the checkbox. Even if you are not organizing the next TED Event, if you found the invitation system useful we would love to hear about it.